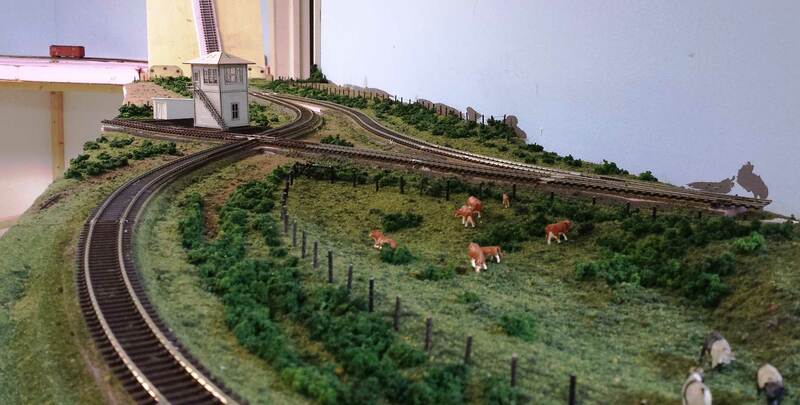 Ray Breyer recently sent photos of his layout progress. Since my Wheeling Freight Terminal is not set up, I figured it’s time for a layout feature. Ray is focused upon the First Subdivision, Peoria Division, Lake Erie & Western District of the Nickel Plate Road, circa 1929. Got that? Here’s Ray with some details and photos. I spent a couple of weeks recently roughing in scenery, dropping feeders, and soldering joints on the layout. These photos document progress along a couple miles of mainline. With Thanksgiving past and only a few leftovers in the fridge, there’s a bit of a lull at hand before the Christmas season shifts into overdrive. The RPM Event Calendar has been updated and there a dozen events in the first half of 2019. I’m thankful to have attended three RPM’s in 2018 and am looking forward to the New Year. Prototype Rails kicks off 2019 at the cozy Cocoa Beach Hilton Oceanfront in Florida. This has become a well attended meet with lots of presentations and display models. Take a few minutes to review the RPM Event Calendar for event details and links to make your 2019 plans. Plan to display some of your models, whether they are completed or in-process. Maybe I’ll see you at an upcoming RPM! 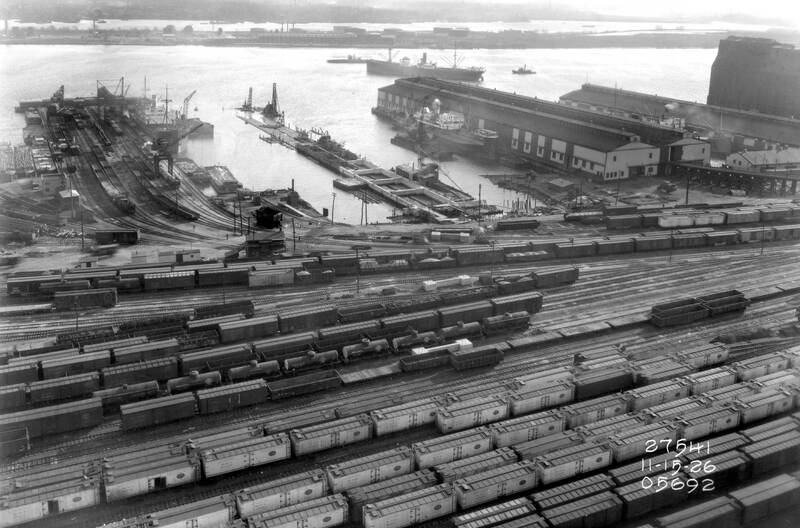 Port Richmond, November 15, 1926. Collection of Eric Hansmann. I picked up a few neat photos at the St Louis RPM last summer. I used these in my RPM Chicagoland presentation and thought I’d share them with some notes. Photographs were often taken to document projects in many cities. In these cases, the Reading Company hired a photographer to snap progress photos of a new project at their Port Richmond yards along the Delaware River in Philadelphia. You can see some concrete footers extending through the above image that will connect a new grain pier with a grain elevator. Click on any image here to view a larger size.